Cooly colored hematite doublets and warm yellow gold play with the light and offer opulent shine. 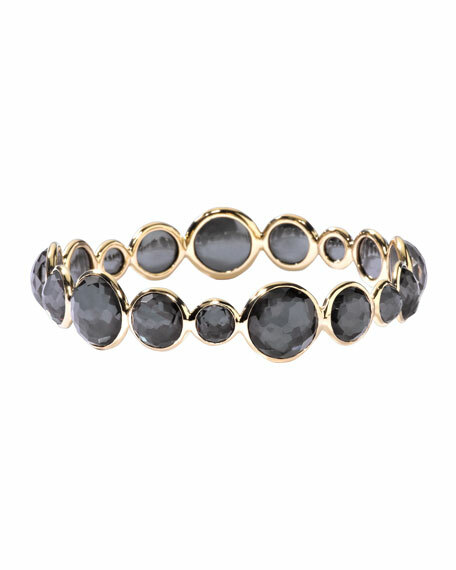 Slim enough to be stacked with other bangles, but striking enough to make great impact on its own, this Ippolita bangle is sure to become your new go-to. Round stations of clear quartz laid over hematite vary in size. Contoured for secure fit; 2 2/3" x 2 1/3" diameter. For in-store inquiries, use sku #2166024.